Our bodies are designed to move, but many of us (too many of us) are insufficiently active or not active at all. At POINT3 Wellbeing, movement (along with mindfulness) is one of our foundational principles, as we believe in the power of movement to help improve our physical, mental and emotional health and wellbeing. At our HIIT+CHILL+CHAT mini-retreat on Saturday 24 November, our wellbeing theme was focused on movement. We invited Caitlin Limmer, founder of the Bearcat Running Club, and race director for the Cabbage Patch 10 and Turks Head 10 to speak about the power of movement, and to share her story and inspire discussion on this important subject. Caitlin has helped many in the community and beyond through running and the charity challenges she organises. This year Caitlin completed Ride London on a tandem bike raising money for and awareness of MDS charity, a charity for which she is also a patron. Here Caitlin tells us a little more about how she manages her mental and physical wellbeing. How do you keep mentally fit? How do you keep physically fit? Do you have any tips and tricks on wellbeing for our readers? 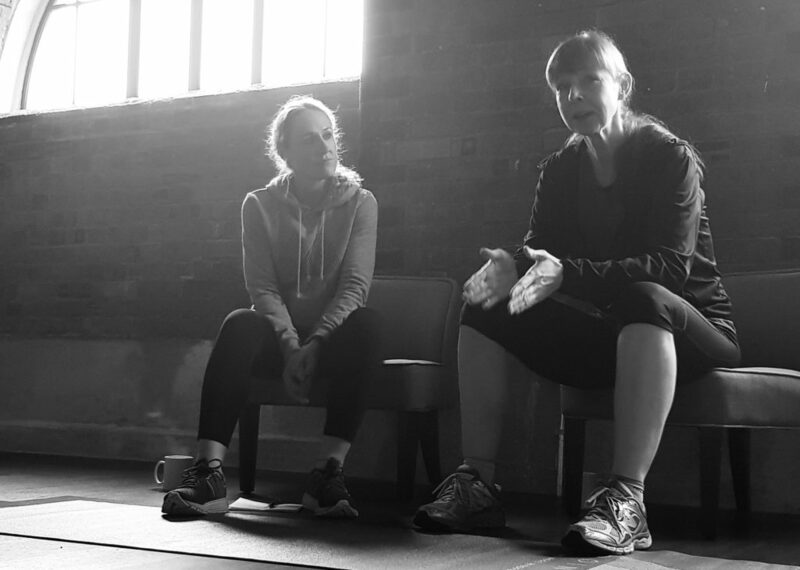 Future HIIT+CHILL+CHAT event dates have been published and can be found on our events pages. Nutrition is our theme for January. To secure your place at one of these events click here.